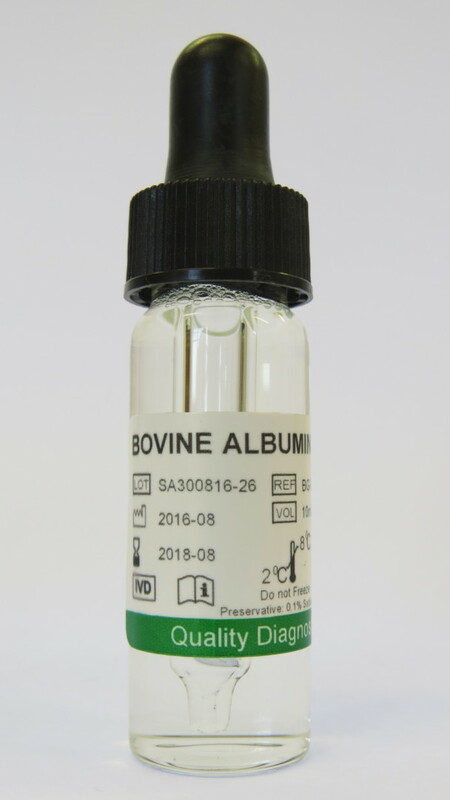 Rapid labs 30% Serological Albumin is prepared from a mixture of bovine serum albumin, and buffered saline. The polymer content of the Polymer Enhanced BSA is increased naturally by a process modification. No artificial avidity enhancers or high molecular weight agglutination potentiators are added to any BSA preparation. None of the BSA reagents contain sodium caprylate. Each BSA reagent is supplied at optimal dilution for use with all the recommended techniques without the need for further dilution or addition.